Did you believe that Don Kato would not take advantage of his public conflict with the Martelly government for not allowing him to take part of several Carnivals in the past, you were wrong. Did you believe that Fanmi Lavalas would be the political party he would likely run under, once again you were wrong. Now, I am totally confused. Some peoplle have been saying that the Verite party of Rene Preval is working closely with Michel Martelly. If this is the case, what is Don Kato doing there? OPL, MOPOD, FUSION embark in Primary election, what about Fanmi Lavalas? It seems like we are watching the democratization of our political parties in Haiti right before our eyes. So many political parties are now saying that they are going to let their members make the selection as to who will represent their party during the next election. OPL, MOPOD, FUSION, just to name a few stated that they will have Primary election. Now my question: what about Fanmi Lavalas? Will this political party follow the steps of the other ones and conduct primary as well? This is something very interesting to watch during the next few days or months. 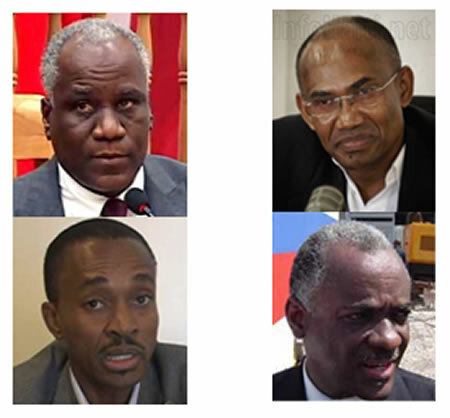 Will the Fanmi Lavalas of Jean Bertrand Aristide survive if they decide not to conduct Primary election? Will the party members accept to be under a Dictatorship form of political party or will the demand that the party open to all and that the best candidate will actually be selected to represent them during the next election? The opposition party of Haiti organized and undertook a demonstration on November 25 as part of their greater campaign to overthrow the current Haitian government run by President Michel Martelly. This recent event is only one of a spate of such demonstrations, including some that have turned violent enough to result in bodily harm to some participants. Reports from protests staged in Delmas have reported at least three people having sustained gunshot wounds. During the protest on November 25, the demonstrators chanted the month-old mantra for the resignation of President Martelly. To this familiar cry they also added the demand for the political prisoners to be let go, and for widespread political persecution. The momentum gathered from this day led to further demonstrations on the 28th and the 29th of November, as the fire that was steadily brewing for the ousting of the present administration continues to kindle to fever pitch. 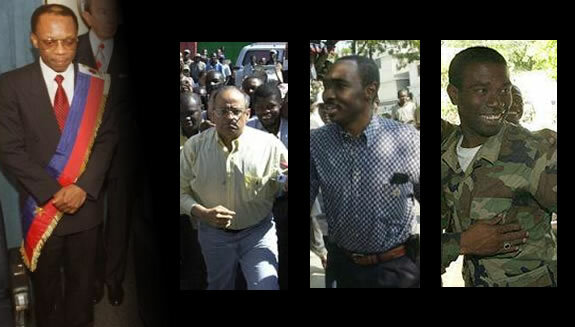 Oriel Jean, head of the Special Unit for Guarding the National Palace, during former President Aristide's administration, fell prey to the U.S. government, who wanted him on drug-trafficking charges. It was rumored Jean had fled from Haiti to Canada to escape prosecution. 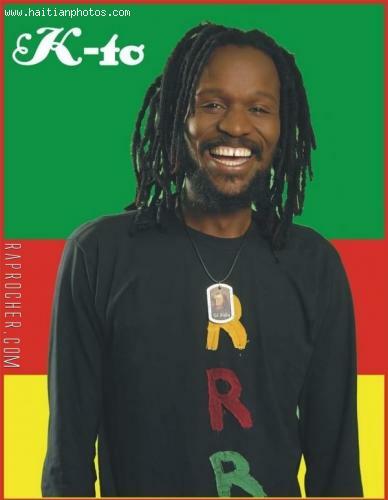 Denying he was involved in drug-trafficking and money laundering he returned to Port-au-Prince. Asked for his resignation, he still remained part of Aristide's security behind the scenes. Following Aristide's ouster, the Canadian Embassy promised Jean refuge, but reneged on its word, canceling his visa and arresting him. Jean requested the judge at his hearing to return him to Haiti. But before the judge could act on the request Washington sent an extradition request. FOPARC Members Arrested on Trumped-Up Charges Sunday October 26th a mass demonstration took place in Port-au-Prince over the Martelly government, which continues to delay legislative and local elections. Two major opposition parties, the Patriotic Movement of the Democratic Opposition (MOPOD) and Patriotic Force for the Respect of the Constitution (FOPARC) issued the alert. The Haitian National Police were out in full force while the demonstrators chanted slogans, mostly calling for President Martelly and his administration's resignation. While marching in Petion-Ville toward the Provisional Electoral Council (CEP) headquarters, the opposition protestors took the CEP to task for its failure to prepare for elections, which the government has been promising for over three years. In particular, the protestors charged the opposition senators with not ratifying the electoral law, a step they should have completed eight months ago. Without ratification no legal structure exists by which to organize elections. Riot police were present at CEP headquarters to avert any incidents. Haiti's President Martelly reluctantly took responsibility for the political impasse that has brought the country to its knees. He waited until just weeks before the end of the year to appoint a commission to make recommendations on how to pacify opposition parties and protestors in the streets, calling for his resignation. He followed the commission's recommendation and asked Prime Minister Lamothe to resign, appointing Evans Paul as Lamothe's replacement. But Parliament stuck to its guns and would not pass the electoral law so elections could be held. They also did not confirm Paul as prime minister before their terms expired on January 12th. Now Haiti is bereft of a standing Parliament. It also has no elected mayors or local officials, no Supreme Court president, and no Central Bank governor. Still the international community is standing behind Martelly, who is ruling by decree. At the eleventh hour Haitian President Martelly sealed a deal with the opposition to hold electoral elections later in 2015. Extremist party Fanmi Lavalas was not present during the signing of the agreement. The agreement happened just hours before members of Parliament's terms were set to expire on January 12th. Al Jazeera reporter, Gabriel Elizondo, was skeptical about the agreement, offering his opinion it "was a deal perhaps in name only". He added he thought Martelly had used the rest of his political capital in brokering a deal with some elements of the opposition, to calm the waters of recent nation-wide protests. On Wednesday, December 17, 2014, the Haitian President Michel Martelly met opposition leaders in a bid to end a stalemate over the delayed legislative elections. The meeting was about the responses to the recommendations of an independent commission established by the President established to end the deadlocks over delayed elections. Among other recommendations by the committee, the former Prime Minister Laurent Lamothe has already resigned on December 14, 2014, in the wake of widespread anti-government protests in the capital, Port-au-Prince. As the term of the current Senate expires on January 12, Haiti may face an uncertain political future. Both the President and former Prime Minister Lamothe had blamed some legislators (Group of six) for blocking a vote that could lead to approve a much needed electoral law. Instead of approving the legislation, they are blocking it and at the same time orchestrating a series of large protests in the capital, calling for the president to resign for the delaying legislative elections. They are of opinion that the presidential draft of the Electoral Law was adopted without any respect for the Constitution or the legislative process. Call it what you want, but The Fanmi Lavalas of Jean Bertrand Aristide doesn't want anything to do with Evans Paul. The political party is asking for the resignation of the newly installed Prime Minister. Is the what many would qualify as getting even. As you may remember, Evans Paul was one of the leaders of the GNB movement in 2004 that contributed in the downfall of former President Jean Bertrand Artisde. January 12 has arrived, Does it mean the beginning of a Political Disaster for Haiti? This is the day that many have been waiting for. Beside marking the anniversary of the 2010 earthquake that took the lives of more than 200,000 people in Haiti, this historic day is also supposed to mark the beginning of a new era of political crisis in Haiti. We are now at the beginning of a time in Haiti that looks very dark. No functional Legislative power, no judicial power, the issue of Prime Minister is unclear.? Where do you think we are heading at this time?